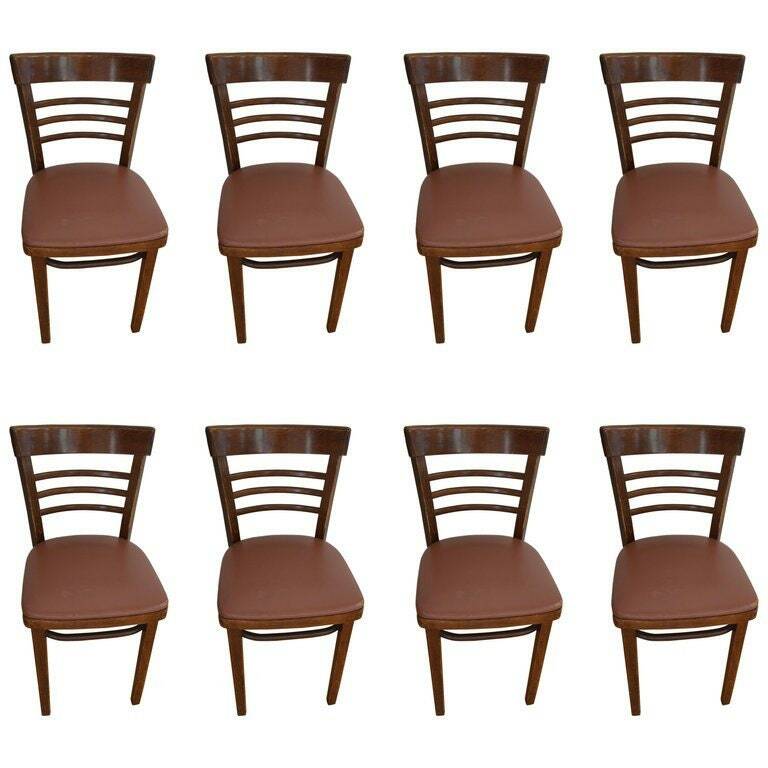 Thonet midcentury cafe and restaurant chairs. Priced as a set of eight. Total of 22 are available. Small footprint with sturdy, wooden ladder frame. Seats are currently upholstered in naugahyde but can be easily and inexpensively reupholstered as the seat is removable for access. Made in Romania. H 31 in. x W 16 in. x D 16.5 in.